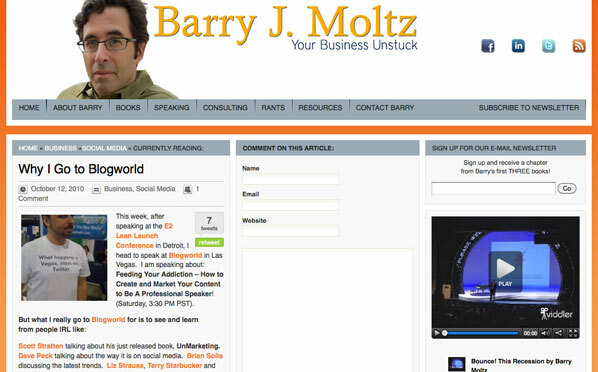 I made my third annual trip to BlogWorld in October. 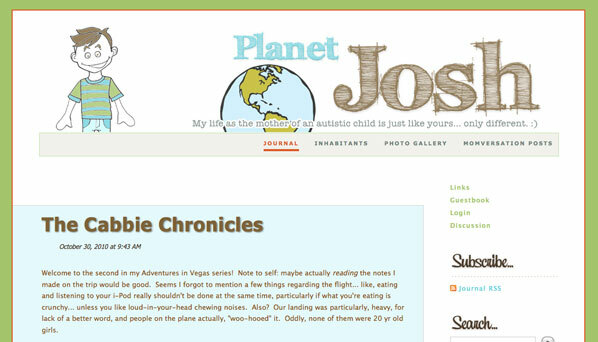 Once again, I met a wonderful set of bloggers from all around the world at the annual conference in Las Vegas. Let me introduce you to the ones I met, along with some tips for their blogs. 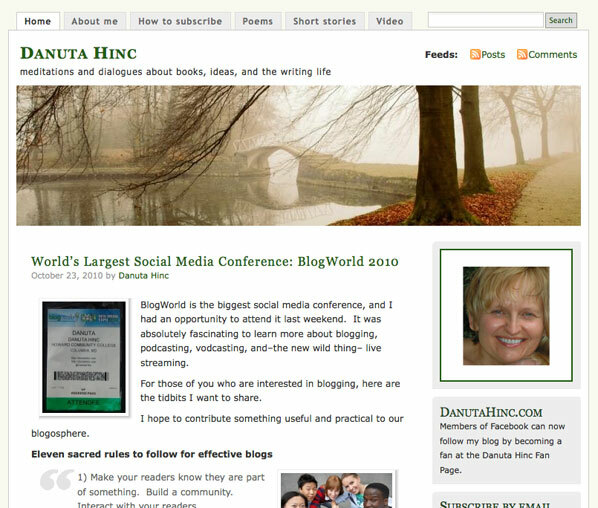 Maybe you’ll be inspired to blog like them in 2011! What I like: Clean look, easy to navigate, clear headlines and spot-on content. Excellent job on the Advertise page. What I suggest: The newsletter sign-up ad in the far right rail is hard to read. It could be bigger, higher and with a plainer font. Also, for a style blog, the logo is a little flat. Time to invest in a professional logo that reflects Helen (and her readers), a young woman on the go and in the know. What I like: Lovely header, chock full of personal stories and warmth. One of the better mom blogs I’ve seen in a while. What I suggest: More art, please. Photos would help break up long blocks of text. (And I’m betting readers want to see more snippets of family life in photographic form.) I think Sarah is born to write a book, which means rethinking the blog approach top to bottom as a business. What I like: Very accessible: Information is broken up into good chunks and well organized. It’s clear who’s writing it and what it’s for. What I suggest: The Spartan look needs more images. Blogging more frequently is a must. Also, don’t forget to respond to your commenters, even on the About This Blog page! What I like: For a young blog, very helpful material (even for men). What I suggest: Cut down on the sharing buttons at the end. Which ones are your readers actually using? Too many creates confusion. What I like: A company that goes out of its way to encourage fun on the blog, showing off who its people really are. Each video ends with a tag identifying Zappos’ sites, very smart. Does it sell more shoes? Probably. Does it boost employee morale? Definitely. What I suggest: At least one video wasn’t embeddable. 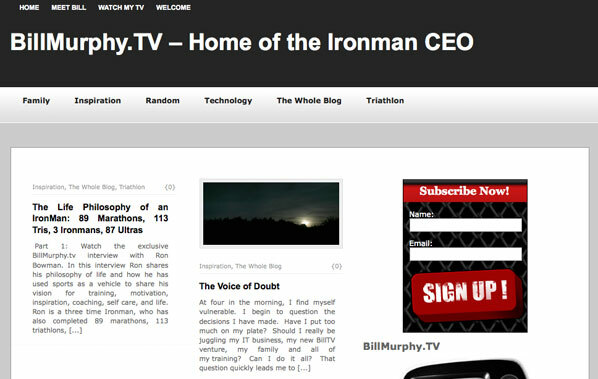 On the author pages, include the five most recent posts. And use your company size to your advantage: Get some folks internally clicking Like, tweeeting it out and leaving comments to get things rolling (just be transparent). What I like: Lots of good information packed in there. Joe has fun with videos, promoting talks and interviewing attendees. What I suggest: More regular blogging. Also, make it easier to find the video channel. And again, photos and graphics will help break up those all-text posts. What I like: Regular posts show Marcie active in blogging and conferences. Lots of live blog posts using CoverItLive. What I suggest: Lose the “Painting Pictures With Words” graphic; it’s taking up too much valuable screen real estate. Take the CoverItLive transcripts and post them with widget for maximum SEO value. 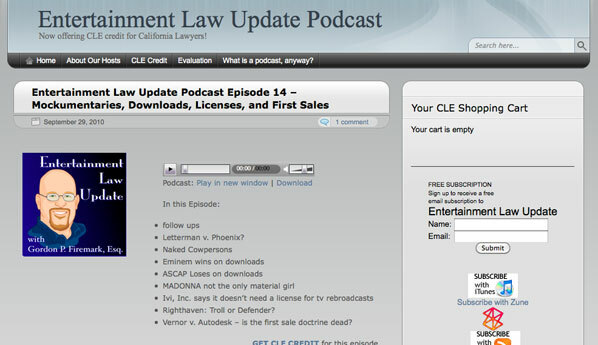 What I like: Each entry lists topics covered on the podcast. Lots of great links related to topics covered in each episode. What I suggest: More info everywhere. What is this podcast and who should listen to it? That should be on an About page or in a box in the right sidebar. 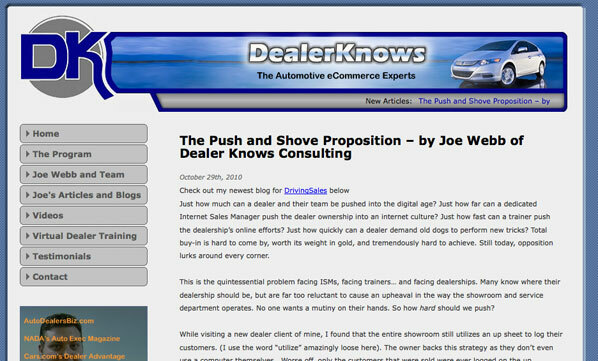 Let visitors know in the excerpt that more info is available on the full post. It might be helpful to make the “Subscribe with iTunes” box bigger, and even include a mention in post at the end (getting people to subscribe automatically increases listener audience). And consider putting a transcript as every other post, for SEO value. And maybe a white background; text is hard to read on a gray background. What I like: Common sense advice and tips for business owners trying to get into social media. What I suggest: Front page makes it hard to get into the posts; header takes up a lot of room, as does the carousel with no defining text. Plus, that double navigation bar has always been a turnoff for me. What I like: Bill has an outlet for his athletic pursuits outside of his IT business. I like that he’s sharing his plans and his doubts, plus video interviews. What I suggest: For the videos, investing in a microphone will improve the audio tremendously (tip I heard recently: video without good audio is surveillance footage). 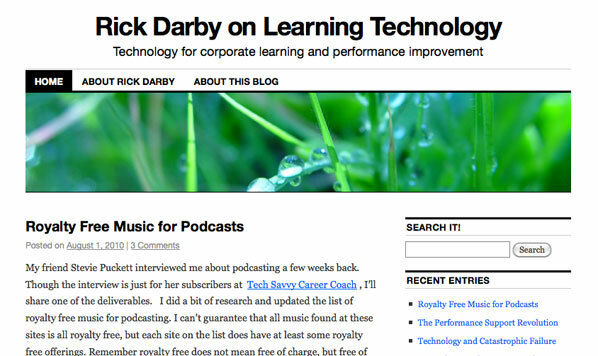 Add Related Posts to each post to encourage readers to stick around and look at more stuff. What I like: Good stories with art from a professional. Easy navigation, good comment response. What I suggest: For authors with books coming out, more content related to the book: the writing process, the book tour, the first chapter, whatever readers might be interested in. This is a group that really digs deep into literature and discussion, so make the most of it. 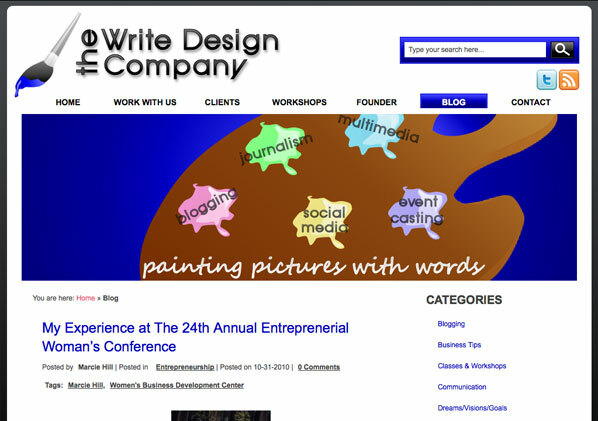 Need help with your company blog? Wade, thank you so much for this unexpected and pleasant feedback. Receiving your insights at this time was perfect because I am actually working on revamping my site, and this was confirmation that I am on the right track. You have been a blessing since our meeting. And again, I appreciate you. You’re welcome, Marcie. Let me know when your new site is ready — I’d love to see it. I have faith in you, Sarah! Thanks for mentioning me! I put all the sharing buttons at the end because I wasn’t sure which ones my readers would use. Per your suggestion, I’ll look at that data now, and clean house. I’m also redesigning the whole website, and adding a lot of new features in January. I’d love for you to take another look when I’m done. It was fun meeting, and networking with you, at BlogWorld. I hope to see you again at BEW11. 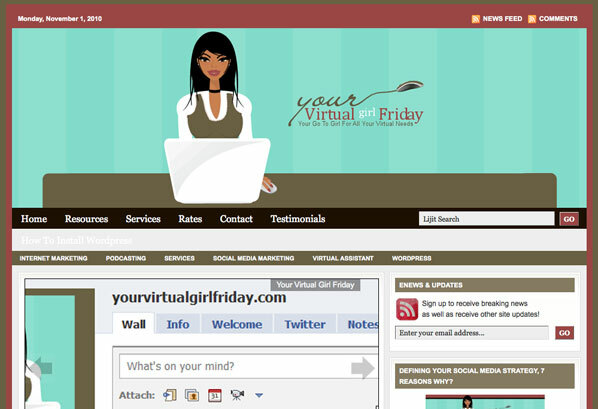 My favorites are Facebook, Twitter, StumbleUpon, print and e-mail. Let me know when it’s ready. I’d love to see the new look, Barbara.